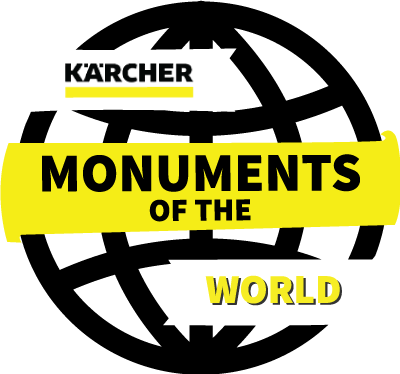 Recently I came across an awesome quiz on the Karcher website – called Monuments of the World. I am absolutely diabolical at Geography but I figured I’d give it a go – and needless to say I got a terrible score. However it was really fun to try and I think I actually learned something as I went along. Not only that, but Megan saw me doing it and got quite into it. If you are any good at landmarks around the world, you should check it out. As a company that sells cleaning appliances, Karcher have been actively involved in cleaning some of the most well-known historical buildings and monuments for over 30 years. They designed a quiz using many of these landmarks, to test your skills and also to provide some fun! The quiz comprises of 15 random landmarks and you have to see if you can place them on the map. You score 100 points for a correct answer and 50 if you’re correct. It will test your brain but also provide you with some great facts about the landmarks. Having given the quiz a go, I realised how few places I’ve actually been to on the map. In fact, when I counted it up there were only two: The London Eye and the Statue of Liberty. As such I decided to make a list of the top three which I would like to visit – in fact I may even add them to my Travel Bucket List. I have only visited the USA twice, once to Florida in the April just gone and once to New York, about 4 years ago. I know it’s a massive place but I really would love to visit more cities and states there. One of the top places to visit would have to be Mount Rushmore. It’s so iconic and while I’ve seen the Lego version in Legoland, it would be great to see the real thing. It’s actually never occurred to me that it might need cleaning either! Many of the places Karcher clean are actually located in Germany so I guess I could cheat and say Germany generally. However of all the places mentioned on their map, I would like to see the Olef Dam the most. It’s probably a strange pick and I can accept that, but I just love the shape of it’s structure and I really love the way it’s been designed to fit in with it’s surroundings and yet still have a great architecture. It also looks quite idyllic and peaceful there. Finally my last choice would be Egypt and Colossi of Memnon. For years Egypt never appealed as a location to visit as it means lots of injections. However I’m now a lot better with needles and I’d definitely like to go and see some of the great architecture there. Obviously as well as this particular monument, I would love to see the pyramids too – and perhaps ride a camel! Are your top three places to visit part of the Karcher Monuments quiz? In fact, had you ever considered how some of these structures get cleaned? If you’re interested in trying out the quiz, why not do so here! I’d love to know what score you get too if you felt like dropping a comment! So another quickie update this week, as we’re going to watch The Walking Dead in half an hour or so! It’s been a very busy week, but mostly because I’ve been making Lily’s cake every night after work. Monday was probably the quietest day of the week. I went to work but otherwise, the evening was spent chilling out with my friend Nat. Tuesday was work again and then I started on the first layer of Lily’s cake. More excitedly, I received my latest addition to my t-shirt collection. Wednesday I continued with Lily’s cake in the evening, but I also made a chocolate caramel sandwich cake for someone I work with. It was their 30th birthday Thursday, so aside from 2 minutes of celebrating that at work, there wasn’t much else exciting happening then. I worked both daytime and evening on Thursday, so that felt like an especially long day. By Friday I knew I had to get Lily’s cake finished as her party was Saturday. However mum had the kids and my brother was out for the evening, so Chris and I had somewhat of a date night. I got the cake finished (as you can see in my post here) and then took a bath. I used a hair stripper to finally get rid of all the black and I’m glad to say this actually worked! Afterwards we treated ourselves to a M&S meal, where we had amazing steak followed by salted caramel cheesecake. We drank a bottle of wine and watched House at the end of the Street (it was awful! ), snuggled up on the sofa. Saturday I got up and made a few alterations to Lily’s cake, before taking Chris to work and then heading over to get the girls from mum’s house. We headed off to Lily’s party and I’m not going to lie, it was great. The venue was perfect and the organisers even better. I would highly recommend it to anyone. Lily dressed as Anna from Frozen and while I forgot to take a proper photo of her, she looked beautiful. When we got home from the party, Lily opened all of her gifts and we wrote a list so that we could write thank you cards. We then spent the rest of the afternoon just chilling out and relaxing. I finished my February book “Love You More” and then we watched Ever After High and My Little Pony: Equestrian Girls on Netflix. Sunday was busy but through choice and strangely that felt nice. After a bit of a lie-in, Chris headed to work and I blitzed the front room. It took me about 2 hours in total, but I hoovered and dusted thoroughly. It felt very satisfying! After lunch the girls and I headed upstairs to do their room. This was more tidying than cleaning but we blitzed their whole room too and that took about 3 hours in total. My mum called around briefly and at about 4pm we headed out to pick Chris up from work and grab a cheeky KFC again! Sunday evening was perfect. We had a lovely dinner with the girls, laughed and giggled lots, before finally changing the bed covers on their bunk beds and then heading to bed. Chris and I sat and watched TV all evening, while I blogged a little and he rubbed my feet. Finally I started planning my next cake masterpiece, but unfortunately I can’t blog about that here! I’m looking forward to a much calmer and quieter week this week. Lily’s birthday is on Wednesday but I’m all organised for that and so otherwise, it should be a fairly boring week!